BEST OF HOUZZ SERVICE: 2015-2016-2017-2018-2019 DESIGN: We listen to our clients to determine their vision for living and requirements for design and for renovation projects. 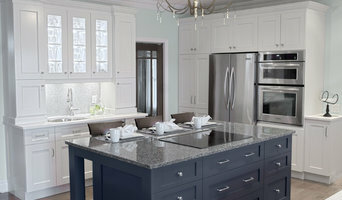 Considering style, function and comfort, we offer expert advice for design updates and kitchen or bathroom renovations. Our unique and inspirational ideas will transform your space and help you "love the home you live in." STAGING: Smart presentation is key to achieve a quick and profitable sale. From one-day makeovers to full property styling, Sheila Singer Staging & Design will expertly style and present your property to maximize the appeal, the value and full potential of your investment. Jodie is an award winning residential designer who excels in both design and client satisfaction. She is known for creating spaces that stylishly meld functional need and personal taste. She is able to blend design styles, materials, and architectural details to create timeless living spaces for her clients. With a committed focus on each project she ensures a smooth process and a design that exceeds her clients’ expectations. Often designing custom solutions, Jodie works confidently with trades and with her exclusive resources. Jodie always strives to deliver the best value for her clients. The collaborative approach Jodie provides ensures that every aspect of the design is tailored to meet the requirements of the client, both functionally and aesthetically. Taking great pride in her ability to connect with her clients, the results are warm and stylishly sophisticated spaces unique to each individual client. For the last five years consecutively, Jodie has received “Best of Design” and “Client Satisfaction” awards by the online design community of Houzz. Jodie has been featured in magazines and newspapers including Style at Home; Toronto Home; Canadian Home Trends; The Toronto Star and The National Post. She was cast as one of Cottage Life TV’s up and coming designers for their Love Your Living Space campaign with Sears Canada. Jodie is a LEED certified design professional. Her academic credentials include graduating from the International Academy of Design, and a B.A. from The University of Western Ontario. 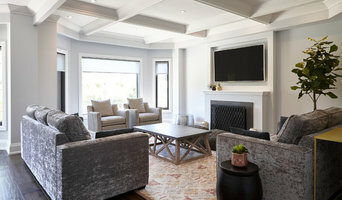 Kate + Co Design Inc.
Toronto's Innovative & Distinguished Interior Designer | 2x BOH! M-Squared specializes in high-end residential construction, from additions to full remodels and new custom builds. Designtheory Inc. is a full-service interior design firm that specializes in creating luxurious yet comfortable interiors of exceptional quality. Working closely with our clients, we tailor each space to embody their varied lifestyles and desires. Our unwavering objective is for every interior to capture each client’s unique taste, style and vision, while delivering a finished product that exceeds all expectations. Our team of professional and knowledgeable designers have the tools to handle the most complicated of projects and aim to strike the perfect balance between the practical and the glamorous. By combining luxury and elegance with sophistication and simplicity, Designtheory interiors offer a timeless and refined aesthetic. Ultimately, when we see the clients themselves in the result, we know we have achieved their goals alongside ours. Ph.D. DESIGN is a full-service, design-oriented firm committed to creating distinctive residences by bridging traditional sensibilities with contemporary needs and modern technology. Our clients become members of the design team, communicating their needs, values and desires. We provide sensible design solutions where a focus on function drives the creation of comfortable and practical homes, be it a new residence, an addition, a renovation, or a restoration. Cazan Design Group is a full service interior space planning and architectural design practice, focusing on high end, custom homes and renovations, staging services and product design. With a modern twist in our approach, the interior spaces created are sophisticated and timeless, tailored to fit any budget. Luana’s European architectural background combined with her education and experience in Interior Design and Architecture have provided her with extensive knowledge of the interior workings of structures, spaces and materials. A courageous approach to design, integrating the perfect harmony between textures and shapes into lifestyle, defines Luana’s style. Avoiding templates and reaching out to one’s distinctive individuality becomes a signature that brings vibration and life to a space.